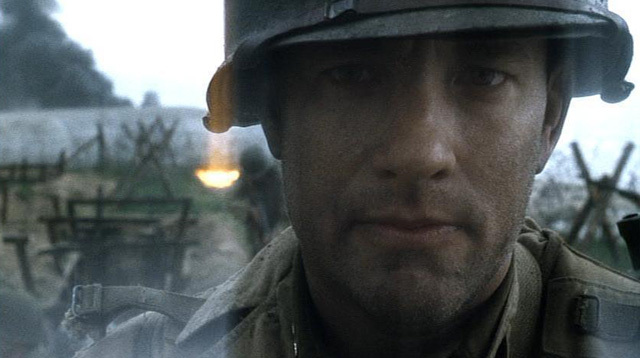 War Factor: Looking Back At SAVING PRIVATE RYAN | Warped Factor - Words in the Key of Geek. All week long we're looking back at some classic war movies. Today Martin Rayburn gets things underway by sharing his appreciation of Steven Spielberg's Saving Private Ryan. What price can one put on an individual's life? In a time of war when millions of men are asked to ship out and face death to protect their country, and with hundreds of thousands of them not returning, what makes one man special? The answer lies with who they left at home, for every man that went off to fight in World War II (or any war for that matter) left behind them a family. A wife, children, parents, people who love and care about them and do not know from one day to the next if they will ever see them again. It's a different war being fought by these family members but it's one that is equally as real and potentially equally as devastating. I can't imagine how hard it must be not knowing if today could be the day that they receive the news that their beloved will never be returning. Like many other people of my generation my grandfather fought in WWII. He died in 1943 during service, before my father was three years old. Still a young woman, my grandmother lived another 39 years but never remarried or so much at looked at another man. She had her son, my father, but that was it. No family of her own left alive, her world was almost entirely taken away from her by this war. By the time I was born, outside of some letters from when they were courting and a few sepia tone photographs, all that remained of my grandfather was his medals of service, but he still felt real to me as my grandmother would tell me stories about him and the man he was. I remember when I was young I would conjour images in my head of him heroically fighting, because you don't really fully understand the concept of war at that age. Plus, as a child my only encounters with the war movie genre were with the many black and white classic movies which tended to romaticise the genre. 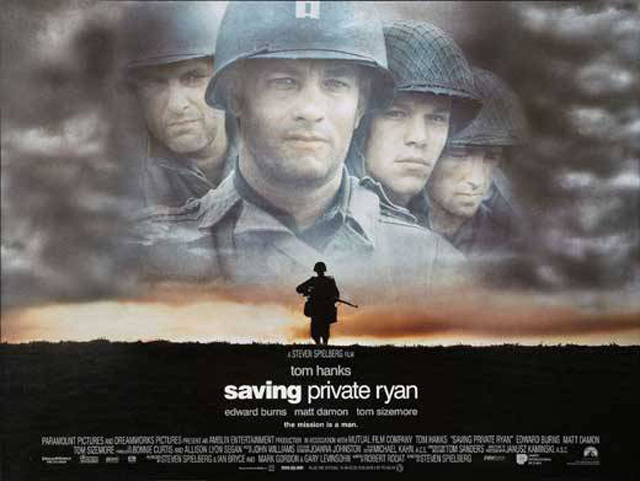 When Saving Private Ryan was released in 1998 it wasn't the genre that made me want to see it, it wasn't the story or any of that, it was simply the combination of Steven Spielberg and a top-of-his-game Tom Hanks that made me go to see this film. It turned out to be a movie which affected me more than any other film I had seen up until that point, because I don't think I ever really did fully understand the horror of war until then (I'm aware I was only sat in a cinema seat, and thankfully have never been in this kind of situation myself, but Saving Private Ryan opened my eyes to the reality and fall-out of war more than ever before). 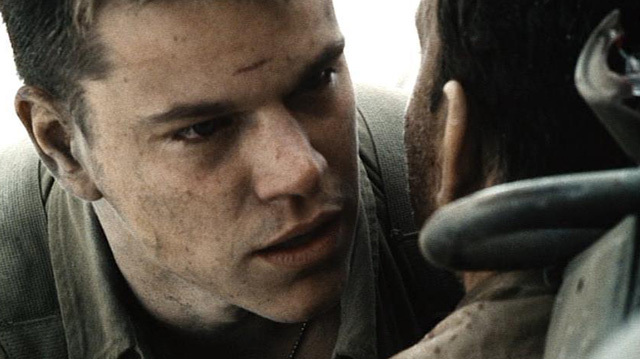 Saving Private Ryan starts with the invasion of Omaha Beach in Normandy. Captain Miller (Hanks) leads his troops onto the beaches against the Germans. They take the beach, but at such a cost. The imagery is haunting. Once viewed never forgotten. Bodies blown apart, limbs removed, blood everywhere. There's no glory in war. There's no romance in war. There's just war. Terrible terrifying war. We learn about Private James Ryan, whose three brothers have all been killed in action, leaving James the only sibling to survive. His mother, a widow, is to receive the news that three of her sons are dead. That's almost everyone she had in the world. Whilst she is thousands of miles away, unable to do anything about it, war has taken almost everything from her. So the United States Military, wanting to give Ryan's mother some type of comfort, sends Captain Miller and his troops on a hunt to find Private Ryan, to tell him what has happened and get him back home. I don't know if similar events like this ever took place. We can be sure that many many mothers lost sons, wives lost husbands and children lost fathers, but I'd like to think that amongst all the carnage and terror one man's life was worth saving, solely for the person who was left behind at home. Even in a time of great war it shows some kind of humanity. If there's a theme evident throughout Saving Private Ryan it is one of courage. The soldiers had to go through one of the most horrific and bloody battles from WWII and had to show tremendous courage before and during it. Then they had to go on a journey, a horrible terrifying journey searching through war-torn enemy occupied Europe, all to find someone they did not personally know. They lost many men on the way, just so that they could find one other and send him home to his mother. 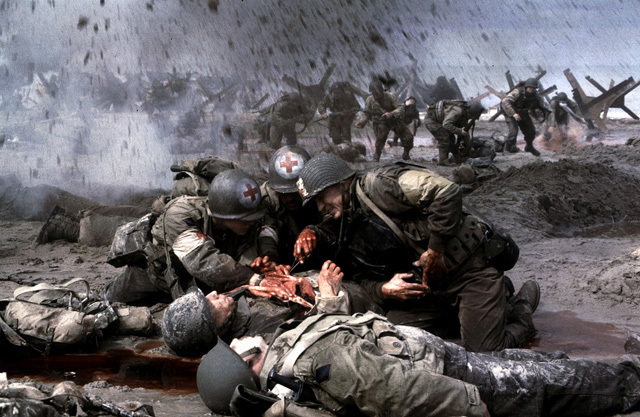 As well as the overwhelming sense of realism, the one thing that Saving Private Ryan seems to have over many other war movies that have gone before it is the sense of actually being there alongside the troops in the many horrifying situations they find themselves in. Thanks to advances in both lighting and sound effect techniques they enhance many a sequence, capture the attention of the viewer, and add to the very lifelike impersonation of what those scenes were really like. 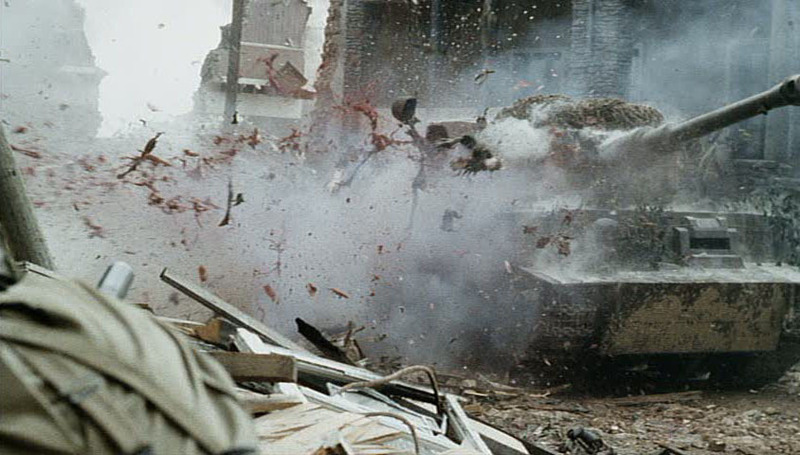 These effects were not available, or at least not so commonplace in the decades before Saving Private Ryan's release and Spielberg takes great advantage of them. 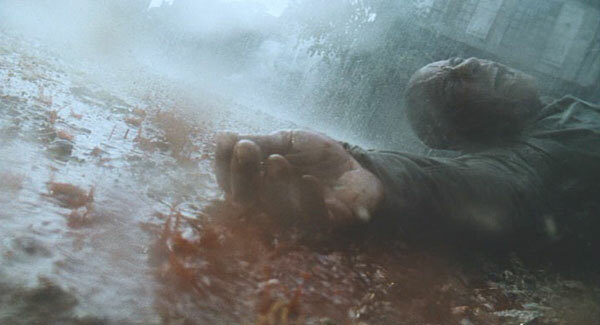 For example, when Private Caparzo (an early role for Vin Diesel) is shot by a sniper the scene is very dark, it's raining and there is little visibility for the soldiers due to the fog. It's already frantic, scary and claustrophobic, but add in the surround sound of the rain and the whole sequence seems even more intense and adds to the sensation of being right there with the troops. Then there's the sounds of explosions going off at every corner, far and near, capturing the moments of war that make it horrible to be in. Having seen the film many a time now, I still find it harrowing to watch. It's hard for most of us to really understand what these young men and women had to go through and the sacrifices they made in order for us to live in freedom. I know this film is fiction but it's an extremely heroic tale and shows the courage that all troops faced not just the small troop who risked it all to find someone that none of them knew and send them home to a grieving mother. I think that more than any other war film before or after it, Saving Private Ryan really makes you think to yourself what it really would be like in a conflict like WWII, and leaves you thankful that it is not you there in the middle of the battle, and equally it's not you there at home grieving.